These are some of the FAQ (frequently asked questions) on this web site. If you don't want to submit your story as a web page, this is where you can get a lot of help to solve some of the problems folks have with anger, depression, anxiety and relationships. Just click on the question that applies to you, and it will take you right to the answer you need. Follow all of the suggestions in each answer, and you will be on your road to healthy anger, better relationships and the happiness you want. This is your chance to see Dr. DeFoore's answers to other folks' questions, that might be just like yours! By the way, the first FAQ below is the most commonly used, and it is packed with great advice. My anger is out of control and nothing I have tried seems to work--what do I do? My (husband/boyfriend) is angry all of the time and it's getting worse--what do I do? I am in an abusive relationship with someone I love--do I need to leave or keep trying? I am an angry parent and I don't want to hurt my children--what do I need to do? My child has anger outbursts and they are getting worse--what do you recommend? I am a teenager and I'm depressed and don't like myself--can you help me? I'm depressed, drinking and can't let go of a relationship--what do I do? I finally got out of the bad relationship--how do I let go and move on with my life? How do I keep from acting just like my dad (or mom)? How do I grieve and let go when someone I love has passed away? How do I deal with my angry adult son/daughter who is still living at home? Want to do something right now that will help? Watch this video below about how writing about your experiences will help you to heal and recover. Learn more about journaling processes. FAQ #1: My anger is out of control and nothing I have tried seems to work--what do I do? First, I want you to write about anything and everything bad that has ever happened to you, using the guidelines on this page. I feel confident that you will choose do this, because you are a good person, and you want to change. That's why you came to this site in the first place. Also, begin writing from your anger every day, several times a day, according to these guidelines on anger journaling. This is extremely important, and it will help you to be more calm. This process brings your unconscious anger (most anger is unconscious) into your conscious mind, which gives you more choice and control. Next, do these positive writing exercises, especially focusing on anybody that you're angry with. Be sure and do the positive journaling about yourself, as well. Think of the times in your past when you were the most hurt, afraid, alone and confused, and use these imagery processes for emotional healing to offer comfort to yourself. You can also use these imagery exercises to mentally rehearse the positive behavior and anger control you want in the future. Practice these anger management techniques every day, until they become a natural, automatic part of your response to stress and frustration. These include some of the above processes, and a whole lot more. 1) Come up with a mental picture of your anger. Keep searching for an image until you have a clear picture in your mind. Don't give up if you have trouble finding an image--just make it up in your mind if an image doesn't just pop up. Imagine how you look to others when you're angry, and then make the image even worse in your mind. Amplify it, making it larger than life. This is not you, this is just your anger--which has become very sick, and you will heal it. 2) While picturing it in your mind, say this to it: "I can see that you are a part of me. I created you a long time ago, for my protection. If I let you run my life, you will destroy it, and you will keep hurting those around me. I'm not going to try to kill you or make you go away. You have a place here, but you're not going to be in charge any more. I'm taking over, which will keep both of us safe. I know you're strong, but your strength belongs to me, and I choose to use it for good things." 3) Notice how the image responds or changes in your mind while you say these things. Keep working with it in this way until you begin to see a healthy anger image start to emerge. Ultimately, you want to transform it into a loyal ally--that's what happens when your anger is healthy. 4) Every time you start to get angry, picture this image of your anger--keep at it until you can see it clearly. This is called "See It Don't Be It," and it will help you to manage your anger. Do all of the above exercises, and you will definitely benefit. These are powerful tools, but they only work if you use them. Above all, believe in yourself and the goodness in your heart. You can do this by raising your self esteem. You can become the person you really want to be, the good person you truly are inside. FAQ #2: My (husband/boyfriend) is angry all of the time and it's getting worse--what do I do? You can't do anything about his problems. Only he can do that. You can't get yourself fixed enough to keep him from getting mad, because you are not the real cause of his anger. Your focus needs to be on yourself, loving yourself and taking care of yourself. Read these pages, and follow the recommendations in this FAQ, and you will feel better and less confused. Then you'll know what to do. Believe in yourself and the goodness inside you. You can do this. Connect with the value that is in your good heart, and make your decisions from there. FAQ #3: I am in an abusive relationship with someone I love--do I need to leave or keep trying? 1) You may be in a "battered person syndrome," because you love someone who is abusive to you and you have a hard time leaving him. 2) You may be wondering, "Will he ever change?" That is not the important question--maybe he will, maybe he won't. The important question for you is, "What do you need to do to make sure you are safe?" 3) As a result of the abuse, you probably have low self-esteem. That is why you put up with the abuse. So, what you absolutely must do is act as if you loved yourself more than you love him. If that was true, what would you do? The answer is easy--you'd stay as far away from him as possible. 4) Look for someone in your world who believes in you, and recognizes that you are being abused. Get that person (or those people) to help you find a way to stay safe. You can also find a battered women's shelter at your local court clerk's office or look in the yellow pages for a crisis hotline. 5) Read this page on how to deal with abusive relationships. Follow all of the recommendations. 1) You are worthy of love, kindness and gentle caring treatment from others. 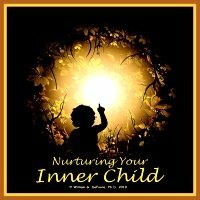 Learn about loving yourself and your inner child here. 2) You deserve to be respected and treated well, regardless of who you have been or what you have done in the past. 3) You are a good person, and you want to love and be loved. That is who you are. 4) Believe in yourself. Put yourself first. Work on building your own self esteem. 5) Never, ever give up on yourself. FAQ #4: I am an angry parent and I don't want to hurt my children--what do I need to do? You love your children, and want to be a good parent and a good person, and no longer repeat the patterns from your past. I will help you, and the benefit you receive has everything to do with how seriously you follow my recommendations. I believe you're the kind of person who will follow through. First, let's address your own healing from your past. That has to happen, as a first step to you becoming the kind of parent you want to be. 1) Write a detailed account of all of the abuse and mistreatment you received as a child, as described on this page. Don't hold back or leave anything out. Try to describe every detail. This is for no one's eyes but yours, so don't worry about that. The benefit is how it will help you to revisit these memories from your present position. 2) Use the guided imagery healing processes you will find on this page to heal emotionally from the abuse. 3) Use the journaling process you will find described on this page to begin managing your anger more effectively on a daily basis. This is a daily journaling process of writing from your anger, which will help you to be more conscious about your anger and begin to recognize where it's coming from. 4) Moment by moment, day by day, every time you think of your child, think of his positive aspects--what you like, admire, and love about him/her. Use this positive journaling process to help with that. This is extremely important. Your child is precious, and worthy of your love and respect. This journaling exercise will help you to begin focusing on his/her best qualities, instead of only focusing on those things that bother you. 5) Practice these anger management techniques over and over again, until you have mastered them. 6) You might consider one of these anger management programs, if the above exercises do not help you get control of your anger. 2) This audiobook program on Helping Your Children With Their Anger, will definitely help you to improve your parenting skills, understand your child better, and manage your own anger more effectively. Believe in yourself. You can do this, if you set your mind to it. You get to choose, moment by moment, what kind of person you're going to be, and these exercises will help you make the right choices. Never, ever give up on yourself. FAQ #5: My child has anger outbursts and they are getting worse--what do you recommend? First, I want you to consider that there's nothing wrong with your child. Just consider the possibility that his/her anger is there for a reason, and it's your job as a parent to find out, and address his/her needs. I suggest you spend some high quality one-on-one time with your child, and just listen. Do activities that he/she chooses. Don't ask questions, just make conversation by telling him/her what you like about the activity. In other words, connect with your child in his/her chosen world. Follow all of the recommendations on those pages, and I think you'll get some good results. Believe in your child. See the very best in him/her always. Your child's anger is a symptom, it does not define him/her. Your job is to find out the "story" behind your child's anger. It's not always easy, but if you set your mind to it, you can do it. Above all, focus on the good in your child. The positive journaling exercise on this page will help with that. Use that exercise to write daily about the positive aspects of your child, until you find yourself automatically focusing on those in your daily interactions. I hope you found this FAQ to be helpful. FAQ #6: I am a teenager and I'm depressed and don't like myself--can you help me? I'm sorry you're having such a hard time. I'll try to help. First, if you're hurting yourself in any way, I want you to stop. You are not bad for being angry. Your anger is there for a reason, and it is designed for your protection. I know it may not be coming out in the right way, but that's normal. You'll get better with that. You're a good person, and you have trouble with your anger. What's going on in your family and/or with your friends is not your fault. Everyone is responsible for their own part. 1) Write your full story, of all of the things that have happened in your life, using the guidelines on this page. 2) Also, start an anger journal, so you can get your anger out on paper instead of letting it build up inside. Be compassionate with the angry part of you, and try to hear the pain and fear right behind the anger. Here are some guidelines for the anger journaling. 3) Start doing this positive journaling process daily, no matter what. This is how you train your brain toward love and happiness. I know this will work for you because you're a good person, and writing about the good things in you and the world around you will help you connect with your good heart. 4) If you have had any emotional trauma in your past, use these imagery processes for emotional healing and resolution. 5) When you get up in the morning, use this two part imagery process for positive mental rehearsal to prepare for a good day. Do this every day, and it will really help. I'm sure your family is made up of good people, just like you, regardless of how they act. Believe in them, and expect the best from them, while taking very, very good care of yourself. And believe in yourself. You are one of a kind, and you have your own special gifts to offer this world. You can do this, and I hope this FAQ helps. FAQ #7: I'm depressed, drinking and can't let go of a relationship--what do I do? I can tell you're having a real hard time, and I will try to help in this FAQ. All I can do is offer some suggestions, and of course the rest is up to you. Priority one is that you quit drinking. Go to AA if you need the support (and you probably do). As long as you're drinking you will not be able to do any of the necessary emotional healing work to let go and focus on your own life and well being. If you continue to drink, then everything else I recommend will be ineffective for you. I cannot overemphasize this. Read this page on alcohol abuse, and learn about the early stages of alcoholism. The hard truth is that you probably care more for the other person in the relationship than you do for yourself. You have to decide to get healthy for yourself. You have to decide that you're a good person and you deserve to have a good life whether the other person's in it or not. Basically, you're all you've got right now, and that's more than enough, if you decide to take care of yourself. You have to look at this person that you are. You have to decide that you care about yourself. You desperately need your own attention. There is more than enough to help you here in this FAQ, if you choose to use it. If you feel you need more help than I've offered, I suggest you call for counseling or consider this online program for overcoming alcohol abuse. Believe in yourself for the good person you are inside. And if you're spiritually oriented at all, pray for yourself. FAQ #8: I finally got out of the bad relationship--how do I let go and move on with my life? Letting go is sometimes the hardest part. You once loved that person--and maybe you still do. But now the relationship is over and it's time to let go. The hard truth is that you might care more for the other person in the relationship than you do for yourself. You have to decide to get healthy for yourself. You have to decide that you're a good person and you deserve to have a good life whether the other person's in it or not. Basically, you're all you've got right now, and that's more than enough, if you decide to take care of yourself. There is more than enough to help you here, if you choose to use it. If you feel you need more help than I've offered, I suggest you call for counseling. FAQ #9: How do I keep from acting just like my dad (or mom)? We are all influenced by our parents, in positive and negative ways. The goal is to accept and claim the positive messages, and "give back" the negative messages. But first you have to sort them out. 1) Write down all of the ways in which you are like your dad. Look at that list and ask yourself if there's any of those qualities or behaviors you want to keep. In other words, choose what you like from the list, and then you can let go of the part you don't like. 3) Make a third list, that includes only those things you like from the above two lists. Now repeat that entire process with your mom, and combine the two lists of the things you like and choose for yourself. This tells you who you really are. The things you don't like about yourself and your parents are aspects that don't match up with who you really are. Next, picture both of your parents in front of you. Thank them both for all of the good things they've done for you, leaving nothing out. Then tell them both about the things you didn't like. Get it all out, and write it down--but picture their faces while you're writing. Now tell them, "I'm not your child any more. I am an adult, and I am your son/daughter. It is time for me to take charge of my life and make my own decisions." I do not suggest you say these things directly to your parents. This is just for you. Even if you still live at home under their authority, you can begin the process of becoming independent emotionally and psychologically even now. And it would be good if you could get out on your own as soon as possible, and become financially independent. Do these journaling processes to continue your journey to emotional freedom and independence. The inner child audiobook and the Goodfinding audiobook will also help you with this. FAQ #10: How do I grieve and let go when someone I love has passed away or gone? To learn about the grieving process and how to move through it in a healthy way, please go to this page. Grieving is an act of love, and the greater the love you had, the deeper the loss you feel. Depending on where you are in your grieving process, the following steps may or may not be right for you. You have to decide. Trust yourself. Grieving is a process, and everyone does it in their own way at their own pace. These steps can go quickly or take a very long time. Trust your process. If your loss is a result of a divorce or breakup, visit this page on letting go of a relationship. 1) Write down everything you loved about them. Go into total detail, and leave nothing out. 2) Then picture them in front of you, and tell them thank you for all of those wonderful gifts, and tell them that you now claim them as your own. 3) Then write down all of the things that were not right about the relationship. 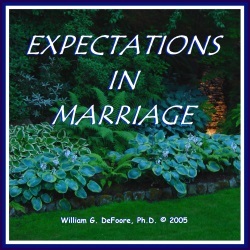 Recognize your loved one's shortcomings and limitations. This is essential if you're going to let them go, and get free of the anger. If you are not able to see their shortcomings, you are making them something more than human, and you will not be able to let them go. They were human, and had their flaws like the rest of us. 4) Then tell them (in your mind's eye) that you love and accept them exactly as they are, and say goodbye to them. Release them to be with God (whatever your interpretation of that is), and release yourself to be the kind of person you choose to be. 5) Then use the three journaling processes on this page to become more aware of your emotions and start shifting to a positive perspective about yourself and your life. Love is who you are, where you started, and where you're going. The love between your loved one and you will always be there. Everything else can go. Now it is time to love yourself as much as you loved your loved one. FAQ #11: How do I deal with my angry adult son/daughter who is still living at home? I know that you love your adult son, and that you're very concerned about him. It is time for you to let go of your son and his problems. The only way he will ever get better is if he takes total responsibility for his issues and gets help himself. You can't help him, except by doing the right thing for yourself. First, it is absolutely essential that he moves out of your house. You need to shift your focus off his problems onto your own life. You can't help him, and any effort you make to do so will only add to his problems. Your parenting job is over, because he's an adult. Learn more about parenting adult children, and read stories of other parents here. Let him go, and believe in him. Trust that he will eventually find his path to a better place. And let go, over and over. This page on letting go of relationships and this one on tough love will help. If you're married, talk to your husband about this, make this decision together with him. The worst thing you can do to your son is to let him live in your home and be disrespectful and/or abusive to you. You may be more concerned about his problems than he is, and that will never work. Use these positive journaling exercises to shift your focus to the best in him and the best in your life. You need to come first, then your marriage (if you're married), then your friends, and then your son and the rest of your life. Those are the appropriate and healthy priorities for you. I hope you found this FAQ page to be helpful. Our goal with this site is to help you with all of your anger management and related issues, and I hope it's working for you!